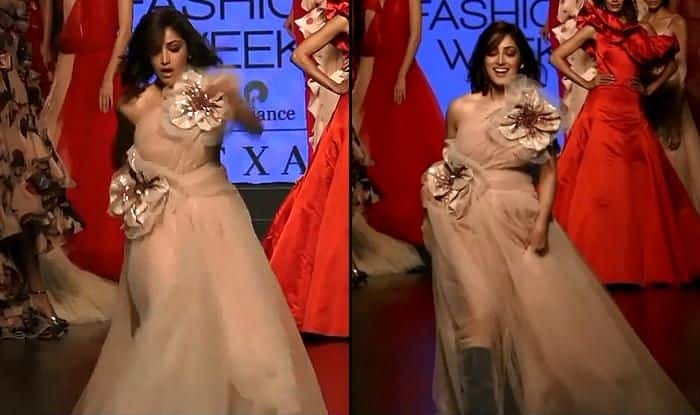 Actor Yami Gautam was walking on the ramp at the ongoing Lakme Fashion Week 2019 when she faced an unfortunate awkward moment. While walking as the showstopper for the designer duo, Gauri & Nainika, Yami tripped on the ramp. However, the actor immediately carried herself and continued to walk with elan. Yami got appreciated for maintaining a graceful stance post the incident and not letting anything deter her confidence. Kudos to Yami for showing immense grace and confidence! On the work front, the actor is basking in the success of her latest release Uri: The Surgical Strike. The film is on its way to reach past Rs 170 crore at the Box Office. The film, also featuring Vicky Kaushal in the lead, has been appreciated by both the critics and the audience alike. While the collection shows there’s no stopping for the film, its star-cast has also been praised for giving some terrific performances.